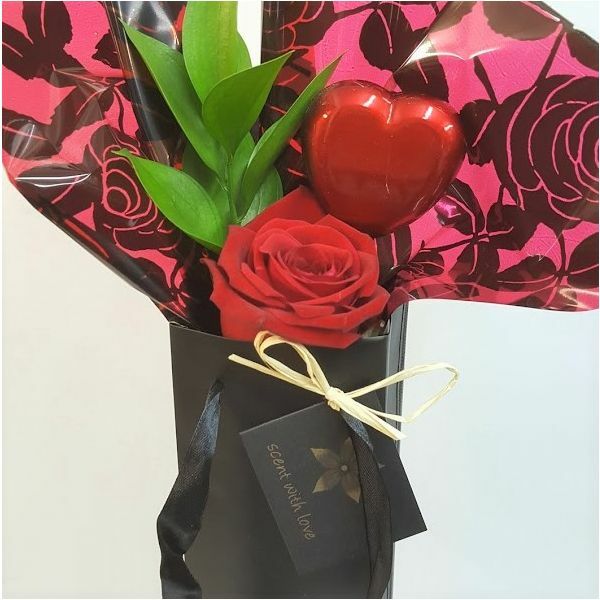 A beautiful superior Naomi red rose is the perfect token to say ' I Love You'. 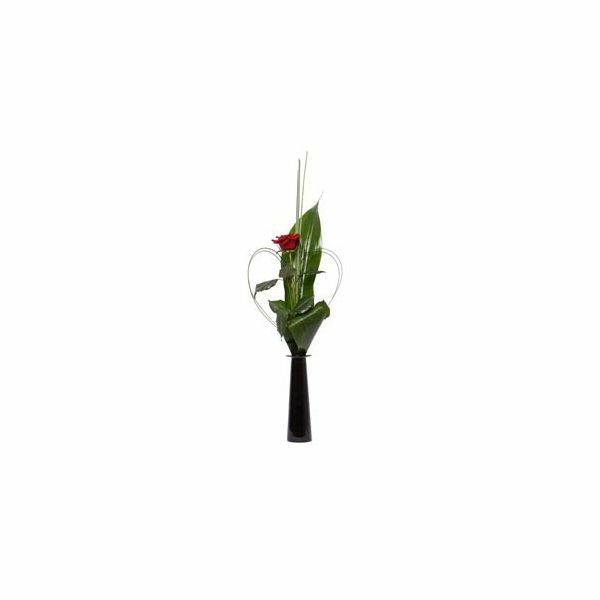 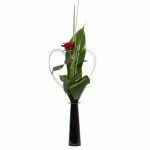 This rose will arrive in a quality slender vase, with foliage and a heart pick. 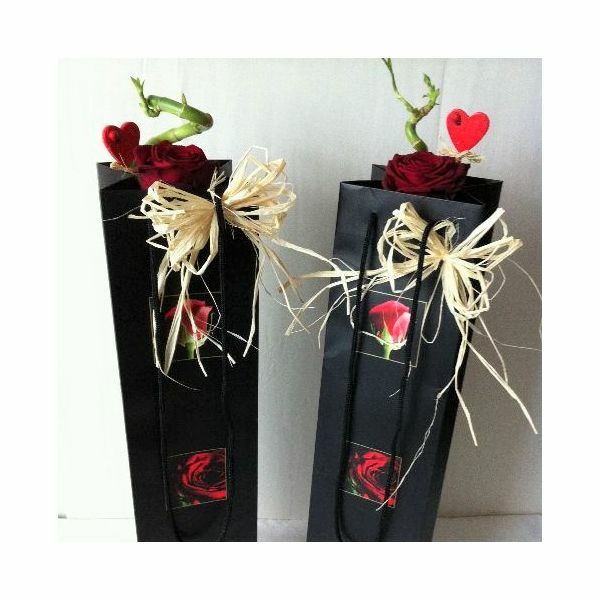 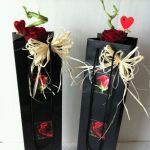 Gift wrapped in matching cellophane and presented in an elegant gift bag.